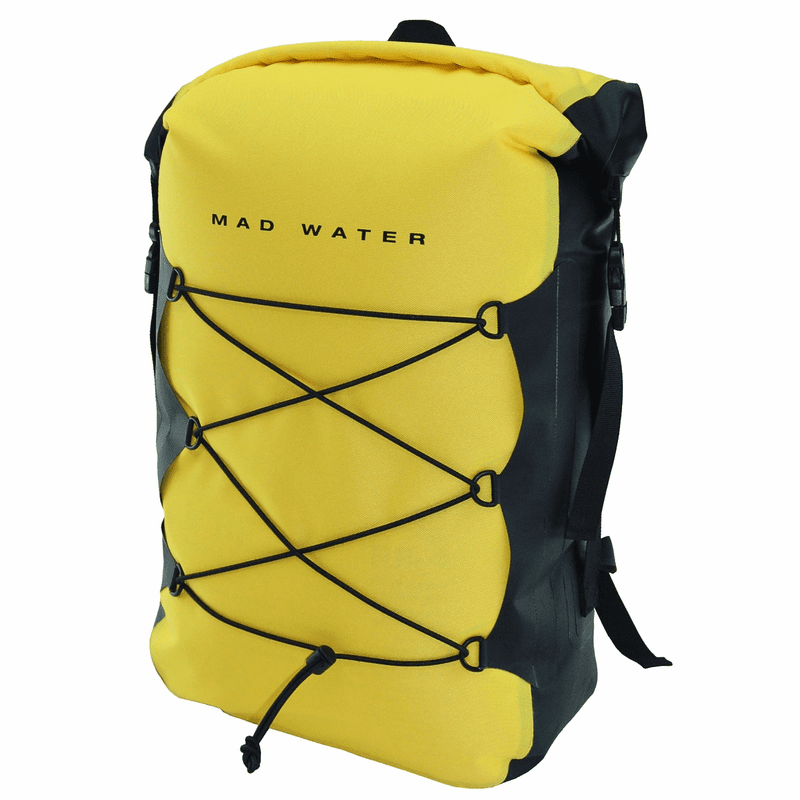 The 30 Liter Classic Roll-Top Backpack is perfect for a day on or around the water. Each Classic Roll-Top Backpack features a padded back, padded adjustable shoulder straps with sternum strap, an adjustable waist belt, a top carry handle, and an exterior bungee harness system to carry along those wet clothes and extra items. After rolling down the top 3 to 4 times, you can seal the backpack by buckling the roll down to the side straps (as shown) or by buckling to each other, like a dry bag.